Nepalese Prime Minister Khadga Prasad Oli with Indian Prime Minister Narendra Modi during his New Delhi visit in April 2018. Prime Minister Narendra Modi has taken the right decision to visit Nepal, just weeks after he hosted his Nepalese counterpart, Khadga Prasad Oli, who chose India for his first foreign trip. New Delhi’s traditionally close relationship with Kathmandu is today in need of urgent repair, in part because of the Modi government’s missteps in the past couple of years and because of the election of a China-backed communist coalition in Nepal. Landlocked Nepal has lurched from one crisis to another for more than two decades. Ever since it embarked on a democratic transition, it has been in severe political flux. It is too early to say if the Oli government will be able to bring political stability. The promise of an early merger of the two main Communist parties that have formed the government has given way to protracted negotiations and public squabbling. The Taliban’s 2018 offensive, which it calls Al Khandaq Jihadi operations, has targeted Afghan government forces in nearly all of Afghanistan’s 34 provinces. While Afghan security forces appear to be focusing on Taliban forces in the southern provinces of Helmand and Kandahar – the birthplace of the Taliban and its traditional strongholds – the jihadist group is effectively counterattacking in the other regions of Afghanistan. The Taliban appears to maintain the initiative throughout Afghanistan, while the Afghan military is forced to react to Taliban offensives, such as the latest incursion into Farah City. Since the beginning of Al Khandaq Jihadi operations, the Taliban has overrun five district centers in Badakhshan, Badghis, Faryab, Ghazni, and Kunduz. These provinces span the western, northern, and southern Afghanistan. 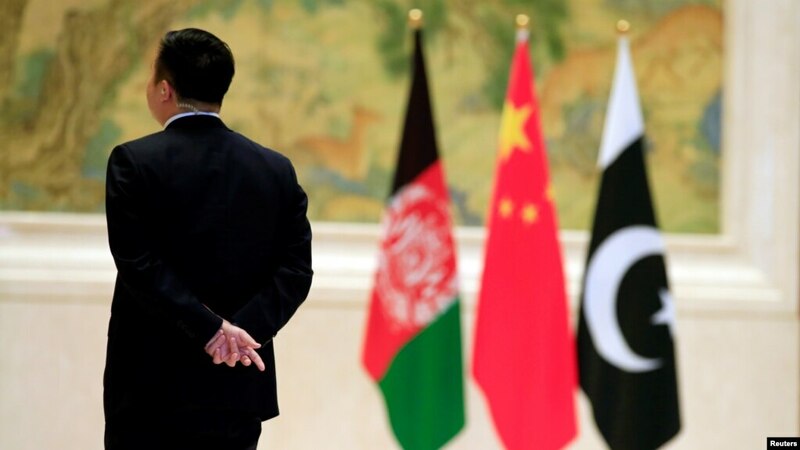 China has proposed hosting a new round of three-way talks with Pakistan and Afghanistan this month to continue with its diplomatic push in helping the two neighboring countries improve their strained bilateral ties. Chinese Ambassador to Pakistan Yao Jing told an unofficial conference of government representatives and experts from the three countries in Islamabad on Tuesday that Beijing had initiated the trilateral vice foreign ministers-level dialogue in 2015. He said that since then, several rounds of talks have taken place, with the mission of easing Kabul's tensions with Islamabad and promoting security, counterterrorism and economic cooperation among the three nations. Days after the political earthquake of a general election on 9 May, Anwar Ibrahim declared Malaysia “on the verge of a new golden era”. Will it be a mere change of government or a political transition to a new order? In the wake of the seismic change that was Malaysia’s 14th general election on 9 May 2018, two aftershocks are now playing out. The first, amid the euphoria of victory, sees the Pakatan Harapan (PH) coalition taking ground-breaking but cautious steps to put in place not just a new government but also the seeds of what could be a new political order. The second, as part of this changed landscape, sees the defeated Barisan Nasional (BN) coalition bracing for an unfamiliar and uncertain future, with its anchor party, UMNO, under threat of deregistration. The Atlantic alliance, built to contain the Soviet Union in the aftermath of World War II, began to die when the Cold War ended. What kept it alive over the last three decades has been less strategic necessity than a convergence of values — the values of the liberal postwar order. Now, the senior partner of the alliance, the United States, has lost interest in those values. 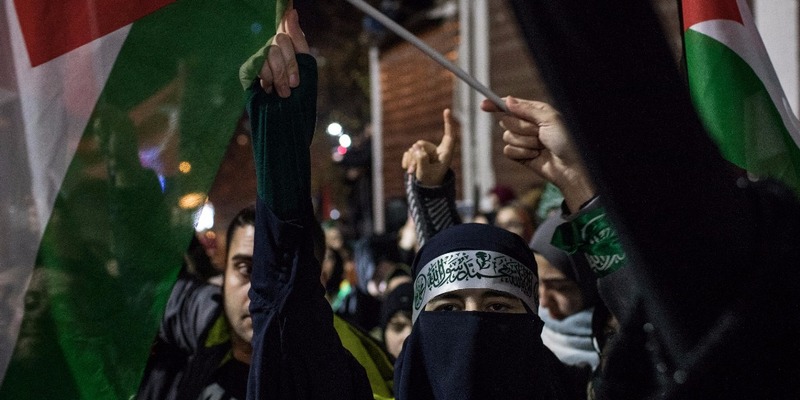 The alliance was already a corpse, but Donald Trump drove the last nail into its coffin when he decided this week to withdraw from the nuclear deal with Iran. In kick-starting its efforts to prepare for future high-end conflicts, late last year the U.S. Army identified six modernization priorities: Long-Range Precision Fires, Next Generation Combat Vehicles, Future Vertical Lift, the Network, Air and Missile Defense and Soldier Lethality. To support this plan, the Army stood up Cross-Functional Teams (CFTs) for each of these areas focused on speeding up the process of developing requirements and ensuring that the programs in each of these areas are achievable, affordable and effective. The bulk of the Army’s Science and Technology resources were refocused on these six priorities. After decades of neglect, the decline of the United States’ nuclear arsenal is being addressed by the Pentagon. This is driven in large measure by the growth and modernization of the Chinese and Russian nuclear arsenals. Their nuclear doctrines are salient as well. While Chinese nuclear doctrine remains deliberately opaque—which is, in itself, worrisome and a threat to strategic stability—Russian doctrine and statements from officials have emphasized the need to maintain their nuclear arsenal and evinced a willingness to use nuclear weapons in a conflict. Introducing Crazy/Genius, a new podcast from The Atlantic with Derek Thompson. Eight bold questions—and eight smart answers—about how tech is changing the world. Listen and subscribe to the podcast. Some time later this year, Amazon could become the first trillion-dollar company in American history. Its valuation has already doubled in the last 14 months to about $800 billion, and Jeff Bezos, its founder and CEO, is officially the richest man on the planet. There are ways in which Amazon seems to be the greatest company in American history. It’s revolutionized the global shopping experience and expanded into media and hardware, while operating on razor-thin margins that have astonished critics. But some now consider it the modern incarnation of a railroad monopoly, a logistics behemoth using its scale to destroy competition. So what is Amazon: brilliant, dangerous, or both? That’s the subject of the latest episode of Crazy/Genius, our new podcast on technology and culture. President Trump’s dismissive treatment of Europe is beginning to erode the transatlantic alliance, which for many decades has been the central pillar of U.S. national security policy. The growing European-American rift may be the most important but least discussed consequence of Trump’s foreign policy. His disruptive style is usually seen as destabilizing to distant adversaries in Pyongyang, Tehran and Beijing. But the diplomatic bombs have also been exploding here in the capital of the European Union — as well as in Paris, Berlin and London — and they appear to be causing real damage. Moscow offered two explanations on Monday as to why Russian-made Pantsir S-1 missile defense system took a direct hit during an Israeli airstrike last week. "One is that it had already used up its ammunition reserve," Aytech Bizhev, the former deputy commander-in-chief of the Russian Air Force, said, according to RT. "The other is that it was simply turned off; it wasn't battle ready." Whatever the reason, the incident wasn't good advertizing for the Russian system. 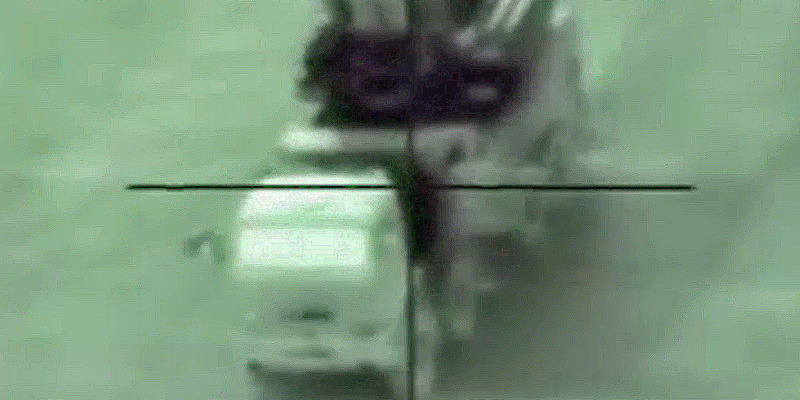 Moscow offered two explanations on Monday as to why its Russian-made Pantsir S-1 missile defense system embarrassingly took a direct hit during an Israeli airstrike last week. In this edition of the RAD, Mark N Katz first examines how President Putin’s Russia seeks to maintain good relations with multiple actors in the Middle East that consider one another as adversaries, and the limits to this policy. 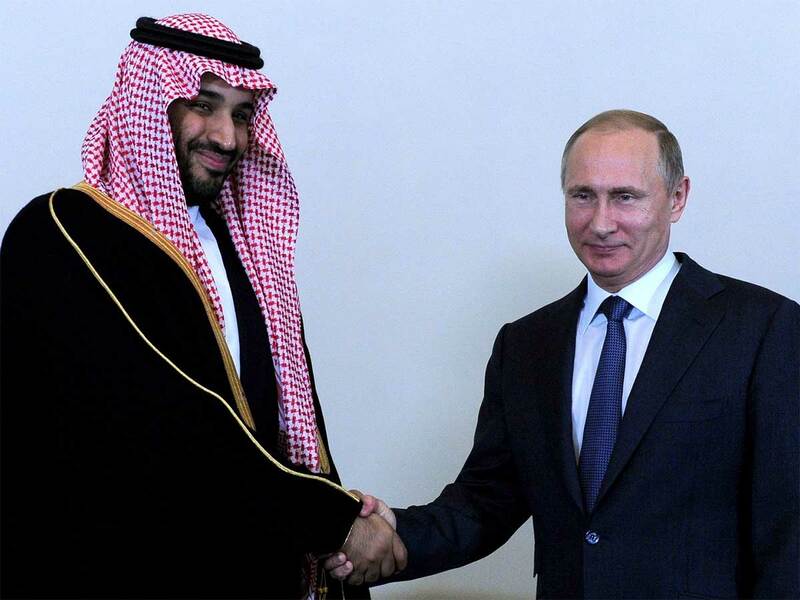 Nikolay Kozhanov then considers the Russia-Saudi Arabia relationship, noting that the efforts to promote better relations between the two have not as yet been derailed by various stress-tests in their relations. The two articles featured here were originally published by the Center for Security Studies (CSS) in the Russian Analytical Digest on 3 May 2018. 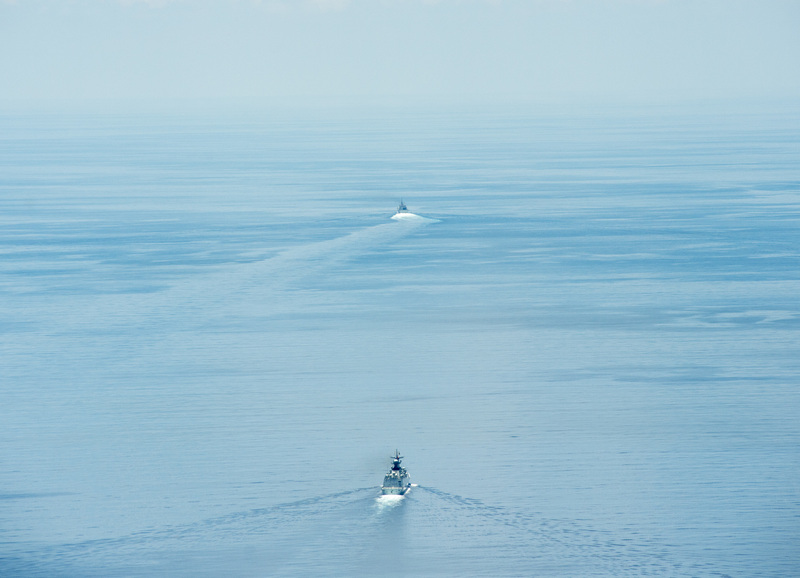 The littoral combat ship USS Fort Worth (LCS 3) conducts routine patrols in international waters of the South China Sea near the Spratly Islands as the People’s Liberation Army-Navy [PLA(N)] guided-missile frigate Yancheng (FFG 546) sails close behind, on May 11, 2015. US Navy photo.The United States is nowhere close to deterring Russia from spreading fake news, disinformation, and propaganda through social media, or even convincing the American public that such a Kremlin campaign to drive wedges through society exists, a panel of “gray zone” warfare experts said Tuesday. North Korea has all but completed its quest for nuclear weapons. It has demonstrated its ability to produce boosted-fission bombs and may be able to make fusion ones, as well. It can likely miniaturize them to fit atop a missile. And it will soon be able to deliver this payload to the continental United States. North Korea’s leader, Kim Jong Un, has declared his country’s nuclear deterrent complete and, despite his willingness to meet with U.S. President Donald Trump, is unlikely to give it up. Yet Washington continues to demand that Pyongyang relinquish the nuclear weapons it already has, and the Trump administration has pledged that the North Korean regime will never acquire a nuclear missile that can hit the United States. The result is a new, more dangerous phase in the U.S.–North Korean relationship: a high-stakes nuclear standoff. ‘Should Google proceed despite moral and ethical opposition by several thousand of its own employees?’ A US remotely piloted aircraft in Iraq, 2015. Project Maven uses machine learning and artificial intelligence to analyse the vast amount of footage shot by US drones. Should Google, a global company with intimate access to the lives of billions, use its technology to bolster one country’s military dominance? Should it use its state of the art artificial intelligence technologies, its best engineers, its cloud computing services, and the vast personal data that it collects to contribute to programs that advance the development of autonomous weapons? Should it proceed despite moral and ethical opposition by several thousand of its own employees? The Trump administration has eliminated the White House’s top cyber policy role, jettisoning a key position created during the Obama presidency to harmonize the government's overall approach to cybersecurity policy and digital warfare. POLITICO first reported last week that John Bolton, President Donald Trump's new national security adviser, was maneuvering to cut the cyber coordinator role, in a move that many experts and former government officials criticized as a major step backward for federal cybersecurity policy. According to an email sent to National Security Council staffers Tuesday, the decision is part of an effort to “streamline authority” for the senior directors who lead most NSC teams. “The role of cyber coordinator will end,” Christine Samuelian, an aide to Bolton, wrote in the email to NSC employees, which POLITICO obtained from a former U.S. official. Who Can Spy the Best? Well, in the wake of all Facebook scandals, it’s an appropriate title, isn’t it? And the answer to the question is? – Neither; because the best spies go undetected. Social networks are a treasure trove of information – both junk and useful combined. Facebook has profited from it immensely, as I suppose has its Internet peers: Google, Twitter “and the rest”. But, what the recent scandal showed is that their profit is our loss. I will not regurgitate all the info that leaked out since FB gross misconduct surfaced, however, I would like to focus on the solutions – to combat potentially harmful criminal activity and facilitate greater business efficiency on the Net. Cyber Intelligence is a field generally wrapped in an aura of mystery and a Q style brilliance. I would like to take dispel this claim – and translate it into practical tools and applications. Namely, how you safeguard Public Safety and execute a preventive strike to potentially hostile elements lurking on the NET and various other applications. I refer to OSINT (Open Source Intelligence) tools only. Thousands of jails and prisons across the United States use a company called Securus Technologies to provide and monitor calls to inmates. But the former sheriff of Mississippi County, Mo., used a lesser-known Securus service to track people’s cellphones, including those of other officers, without court orders, according to charges filed against him in state and federal court. The service can find the whereabouts of almost any cellphone in the country within seconds. It does this by going through a system typically used by marketers and other companies to get location data from major cellphone carriers, including AT&T, Sprint, T-Mobile and Verizon, documents show. A hacker has broken into the servers of Securus, a company that allows law enforcement to easily track nearly any phone across the country, and which a US Senator has exhorted federal authorities to investigate. The hacker has provided some of the stolen data to Motherboard, including usernames and poorly secured passwords for thousands of Securus’ law enforcement customers. Although it’s not clear how many of these customers are using Securus’s phone geolocation service, the news still signals the incredibly lax security of a company that is granting law enforcement exceptional power to surveill individuals. “Location aggregators are—from the point of view of adversarial intelligence agencies—one of the juiciest hacking targets imaginable,” Thomas Rid, a professor of strategic studies at Johns Hopkins University, told Motherboard in an online chat. abnormal behaviors, chemicals, and vapors that could indicate the presence of vehicle-borne improvised explosive devices (VBIEDs) at standoffdistances. Officials of the Army Contracting Command, on behalf of the Army product manager for force protection systems (PdM-FPS) at Fort Belvoir, Va., issued a sources-sought notice (W909MY-18-R-C009) earlier this month for the Countering Vehicle Borne Improvised Explosive Devices (CVIED) project.